It sounds so patriotic…Educational Freedom. But public education in traditional public schools is what is truly educational freedom. Education Secretary Betsy DeVos and other conservatives like former Florida Governor Jeb Bush and current Tennessee Governor Bill Lee are touting their idea of Educational Freedom and they repeatedly make comments implying that poor children will get their choice of any school they want with an Educational Savings Account. Expanded options create greater opportunity. That’s why we need ESAs this year to empower low-income students from our most under-performing school districts to attend a school of their choice at no cost to their family. If you are a struggling parent and you hear or read this, you might think you have a chance of placing your child in a wealthy private school, or a parochial school, for free. This is essentially what Lee is stating. All families should have the power to determine the best educational path for their children. The Education Freedom Scholarship Program will expand successful choice efforts in states across the country, empowering more families to explore educational opportunities without increasing the size of government or raising taxes. Have private and parochial schools in the State of Tennessee, Florida, and around the country changed their admission policies to open enrollment? These ESA promises, often connected with statements about a child’s zip code, don’t mention that private and parochial schools control admissions and rejections. Ask exclusive private and parochial school administrators if they will change the rules to admit and keep all students, like public schools always do. Will they accept all children no matter their family’s income level? If a child doesn’t have good grades will it no longer matter? Will a child’s religious preference be insignificant to parochial schools? Will children of color be accepted into exclusive private schools? Will children with disabilities be welcomed into inclusive parochial and private school settings? Will doors open for children of immigrants with a second language? If a student repeatedly acts out, and needs help, will the school provide counseling services? Is it alright if parents aren’t able to dedicate time and money to the school? Will private and parochial schools not discriminate against LGBTQ students? Will poor children get free tuition beyond the voucher amount? Will private and parochial schools have to end tuition hikes? When those schools fill up, will parents be able to sue the private or parochial school because their child did not get into the school? Or will they be able to sue the state if their choice school rejects their child or has no availability? How do wealthy private schools feel about the above questions? Are their administrators readying their schools for the influx of students who will enter private and parochial schools? Are they creating better programs to serve the poorest of the poor? If a child gets a voucher worth $7,000, and the private school costs $25,000 a year, who will pay the difference? 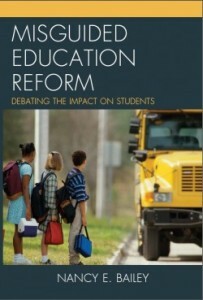 Lee goes on to say that Educational Freedom Establishes an Education Savings Account program to provide quality school choice options for students in low-performing districts. Creates an independent charter school authorizer, expands facilities access for charter schools. This sounds like the only real choice a poor child will have is between a charter school and a public school. 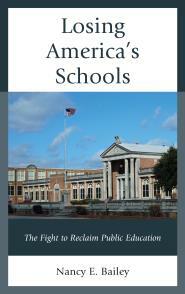 A recent Washington Post report indicates that the government has spent billions on charters that never opened! Or they opened and closed due to poor management. Considering that so many charter schools fail at what they promise, and the Achievement School District in Memphis is a good example, it sounds like children have very little choice to no choice at all. The notion that any child can attend the private or parochial school of their choice is not true unless the family is rich. A wealthier parent with a child who is accepted into the school will get a nice supplement to their tuition price. The educational freedom they are speaking about is apparently not really for the poor. It’s false advertising, or a lie. This is pure deception. It is a misappropriation of true academic freedom. Infuriating. Thank you for revealing the deception Nancy. I hope this is read by many. I posted it on my wall! Great explanation! Hope people will stop and read it! Thanks again! No mention of the separation of church and state issue? I know that parochial schools are hungry for money, but they sure won’t like it when the government wants something in return for those tax dollars that they are eager to accept. Sort of mentioned it, Lisa. “Will a child’s religious preference be insignificant to parochial schools?” But you make an excellent point. Unfortunately, they may not be asked for anything in return! No accountability. Thank you. As there, so here in the UK in so many respects, Nancy. We have our own version of the lies and deceit those in power are so often willing to peddle to an unsuspecting public. You may be aware of an education blog site called Local Schools Network operating in England. Janet Downs is, like you, a steadfast campaigner for the rights of the underprivileged who platforms more than any other commentator on that site. Recently she has been active disclosing what our politicians are up to in perverting the course of public education and the huge part money plays in all their games. The big story here is the awful waste that is encouraged by our politicians and their wealthy supporters. For just a little taste of what our unprincipled leaders are sanctioning with regard to the destruction of publicly accountable education, you might find the following post by Janet Downs on the Local Schools Network. The common denominator between us is that so much of what is happening here had its origins in America. You have been active for so long and offering a balanced and highly informative view of the pitfalls of marketising education long enough for a wise society to avoid making the same mistakes. Is there not some saying along the lines that history teaches us that history teaches us nothing?! Well something like that. Thank you, John. I appreciate Local Schools Network and Janet’s posts. Roger has also mentioned her to me. Also this morning someone tweeted about a “Panorama program on BBC 1 on ‘Academy Trusts’.” So it is good to read this and better understand what that was about and what is happening. You’re right. It sounds similar to this country with huge accountability gaps and money thrown around with little regard to good schooling and teaching. I’m not sure if and when we will see improvement. Which is scary.